While there are some interesting events going on in world chess, I’m going to put them aside to focus on remembering a very important figure in American chess history. 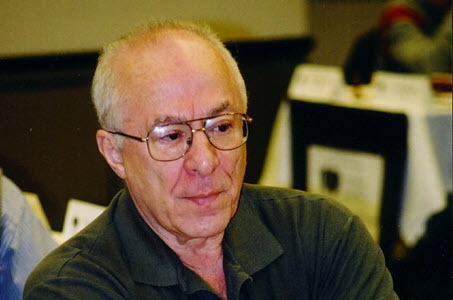 Anatoly Lein passed away last week at the age of 86. 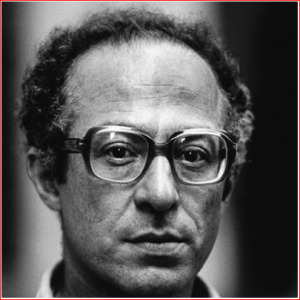 He became a grandmaster in 1968, and defeated many of the giants of Russian chess, including World Champions, Tal and Smyslov, as well as Bronstein, Polugaevsky, Stein, and Taimanov. Emigrating to the U.S. in 1975, he was able to put up strong results against younger competitors, winning the U.S. Open, the World Open, and playing on the national team in the Olympiad. I’m proud to have nominated Lein for the U.S. Chess Hall of Fame in 2005, an act that led to me being removed from the HOF committee for a few years. Not everyone like Lein; he was confrontational and quick-tempered (a bit like Bill Lombardy). For years he told me the USCF was illegally taking rating points away from him. But many others have agreed with me, that Lein is very rightfully enshrined. He was a player whose impact was much, much greater than the tournaments or flashy games he won. Lein came to America at the same time as Leonid Shamkovich, in the earliest “wave” of Soviet immigration. Shamkovich (who went in the HOF with Lein) was a quiet little man who played aggressive, sacrificial chess, while Lein was a big burly intimidating presence who liked to play long technical endgames. I never saw two players whose personalities mismatched their chess styles more than those two. They hit New York at a time when grandmasters didn’t play in open tournaments. 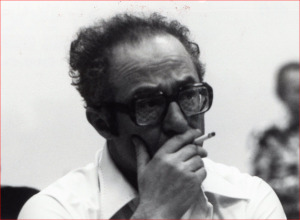 Those of my generation—Fedorowicz, Rohde, Wilder and I—benefitted so much from the experience of playing Lein, watching his games, and listening to his ideas on chess. Jonathan Tisdall, who went on to become a grandmaster and noted chess author, told me his much of his chess philosophy was shaped by what he learned from Anatoly Lein. As a technician, Lein didn’t produce a lot of flashy games, which is how players are often judged in posterity. But his endless determination to prosecute small advantages struck fear in the youngsters. We would speak of the “Anatoly Lein Chamber of Horrors,” where you would have to grimly defend hour after hour (remember, no sudden death back then). Lein’s sitzfleisch was also remarkable in defense. He could grimly defend, or he could take a gamble to try to turn things around. These things all worked against me! I wrote about Lein in a strategy book I have coming out late this year, and realized how poorly I did against him. I never realized, because I had a number of really good positions that I didn’t manage to win. He won at least five games against me before I could finally break through. 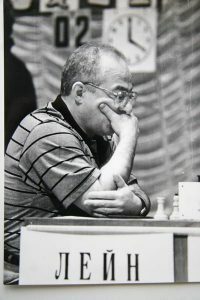 For this show, I’m going to do something a little different and use only games I played with Anatoly Lein, so you could all see how difficult an opponent he was. By the 1986 US Championship, I had already made my breakthrough the previous year, finishing second and earning my first GM norm. I was usually good at picking up points in the softer part of the schedule (not counting the junior representative, but I received a healthy dose of humility from Lein, who was now 55 years old. Lein had beaten me a year before in New York, so I’m not sure why I was so surprised to get such a tough game! In 1989, Lein somehow slipped through my fingers again! When Lein hit his sixties, I was finally able to defeat him…in a bishop of opposite colors endgame! I had learned a bit from the old master, and I did start out with three extra pawns! Two years later, at age 62. Lein held me to a draw, despite the fact that I was in my prime and headed back into the world top 40 by the end of the year. Time caught up with Anatoly Lein, as it does with everyone. I think he was inactive for more than a decade before his death. His wife of forty years died in February, which surely left him heartbroken. I hope that others will show some great games from Lein’s youth, but I wanted to convey what it meant to have him in this country. He was a great role model for us to see how he could compete with great energy against much younger players. He was for me a lot more than what you see on paper; a truly important player in American chess history. RIP Anatoly Lein.